Pamplin Media Group - How would the Southwest Corridor project impact affordable housing? 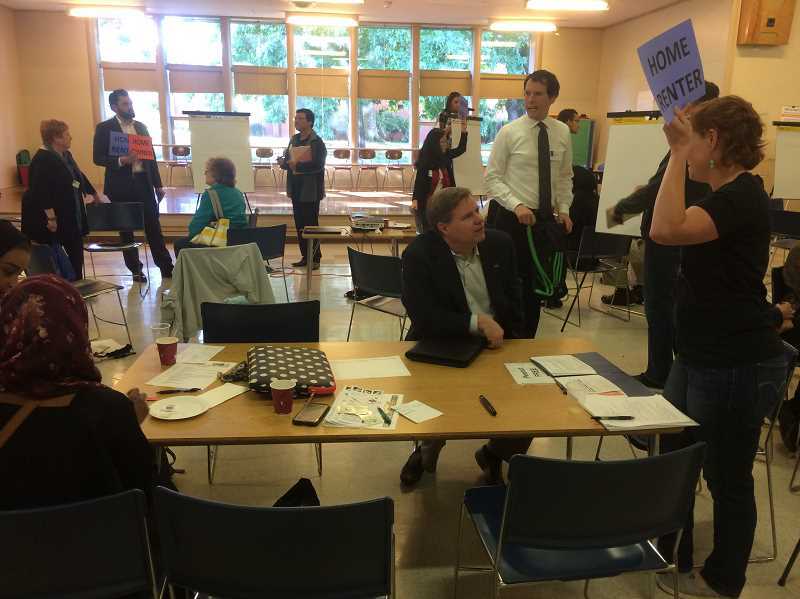 How would the Southwest Corridor project impact affordable housing? nalize an equitable housing strategy by the spring of 2018. Funding for the project has not been finalized, and the rail wouldn't be finished in any case until 2025 at the earliest. Hillsdale resident Sheila Greenlaw-Fink told the Connection that the introduction of the project may have already caused housing prices to increase along the Southwest Corridor and said the implementation of the light rail would likely keep prices rising. the effects of transit-oriented development as a "Civil Rights issue," said she doesn't think transportation overhaul is necessarily a bad thing, but that it must be implemented with housing protections and affordability in mind. "We need to have diverse choices in thinking about how we're going to get to the places that we go, to the places we work, the places we interact with our family and friends and communities. Transportation is a good thing. Pairing that with equitable housing strategy, with tenant protection, with money for investment is extremely important. Otherwise we're going to continue to see 350-percent rent increases, 100-percent rent increases, no-cause evictions," she said. Though she has her concerns, Greenlaw-Fink said she is encouraged by the major players' commitment to addressing the affordable housing issue in deliberating plans for the Southwest Corridor project. "I think it's really gratifying to see public leaders realize that there are multiple impacts from a decision and that if we add a light-rail line, it has the impact of making housing less affordable and displacing residents," she said. "It's great that we're thinking about that now, because we haven't always done that."